Home / News / The Flash Season 1 Is Over; What’s Next? 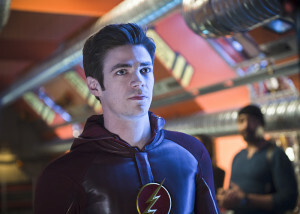 The Flash Season 1 Is Over; What’s Next? Chances are you’ve just finished the Flash Season 1 finale, and you’re anxious to find out what happens next. Well… we don’t know either! We’ll do our best to get spoilers throughout the summer, so keep visiting the site and our Twitter feed @FlashTVNews for updates. What we do know is that Eddie Thawne, as played by Rick Cosnett, has indeed departed the show. However, Tom Cavanagh will somehow be back next year. How? We don’t know, but hey, time travel. In any event, Rick Cosnett and his contributions to The Flash will be missed. If you’d like to come talk about the season finale, “Fast Enough,” drop by our forum, where you can also discuss The Flash all summer! The Flash Season 1 is already available to pre-order on Blu-ray and DVD (with Amazon honoring any lower price that may come between now and the release date), and from those links you can also purchase past episodes on Amazon Instant Video. The CW plans on re-airing past episodes over the summer, as well. A spinoff from The Flash, featuring Martin Stein, Captain Cold, and Heat Wave alongside Arrow favorites like The Atom and Sara Lance and new characters such as Rip Hunter and Hawkgirl is coming, and you may have seen one of those characters from the season finale. The Legends of Tomorrow trailer can be found here; in addition to a dedicated site, you can follow our Legends of Tomorrow Twitter feed @DCLegendsTV. The Flash Season 2 should premiere in October. The show will continue to air Tuesdays at 8PM on The CW. I’ve watched plenty of shows where characters were around for one season and were there for a specific reason for that one season (Degrassi for example with Cam Saunders) but still! I LOVED Eddie. Eddie was one of my favorite characters and time and time again I kept wishing he was in more episodes or had a bigger part….and now Eddie and Rick are gone! I wish him the best of luck but still!! I would have loved to see MORE of him. This will take some time to get over. Eobard Thawne never existed, so that means Harrison Wells never died, right? That’s what I was saying. Plus he never existed so he couldn’t go back and kill Barry’s mom. Does present events effect the past? The real Wells would not have been murdered so he would return, but then Eobard could not have murdered Barry’s mother. But then Barry would not have become the Flash unless real Wells has the original accident some years later (as Eobard alluded to) and Barry become the Flash then. And after the later real accident all the players get super powers. Exactly Austin, but they will have to explain how the Flash and the rest of the history of the crew’s time history hasn’t changed as well, cause if Wells didn’t die the the accelerator accident would not have happened when it did. Yes, I came up to the same conclusion. If Eobard Thawne never existed, Harrison Wells and his wife never died and they continues ahead and still create S.T.A.R.S Labs as well as the accelerator particle collider experiment with the same effect, but without the extra guidance that Barry gets in his super speed exploits. However Eddie Thawne may still be alive because he did not have to die caused by the Eobard Thawne paradox loop inflexed to the original timeline (the one where Eobard Thawne did not came back in time to the point of Barry’s mother’s death) and hence Eobard Thawne may still live but in a different and separate timeline. When Barry returns to the original timeline, it will be without the Eobard Thawne paradox and hence Eddie Thawne (and naturally the future Eobard Thawne) as well as Harrison Wells and his wife are all alive with S.T.A.R.S Lab staff. If the Eobard Thawne paradox is eased, then there is a real possibility that Barry will see his mother being alive in the original timeline. Eddie Thawne can still exist as a fixed anomaly and Eobard Thawne (mark two) will exist but his time hopping to Barry’s mother’s death timeline will be definitely be a close door to him because it already happen and is fixed to never change. The original timeline is the one where Eobard Thawne did not go back to kill the Flash. The storyline is an alternative timeline to the original timeline that does not allow time traveling. 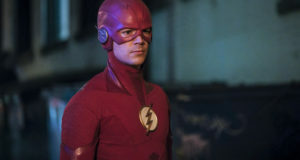 It is impossible that the sacrifice that Eddie Thawne did to ease Eobard Thawne has closed a paradox and effectively return the alternative timeline back to the original timeline where Eobard Thawne had not time travelled to kill young Barry and angrily killed Barry’s mother instead. Things will be back to normal but with the subtle difference with the same characters such Harrison Wells (and walking) and wife are alive, Eddie still be dating Iris West, Barry and his mother and father are a family and Joe West is his fathers friend. The accelerator particle collider will still have happen and people are affected by the explosion. 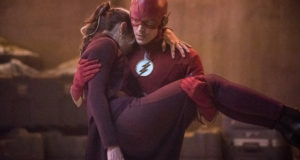 However in the aftermath of the easing of the paradox, Eddie Thawne’s dead body is sucked into the wormhole void that would not existed if Eobard Thawne did not existed to create this situation. Although there is an Eddie Thawne anomaly, Eddie Thawne should be alive because the Eobard Thawne paradox is eased by his death.